 Happy Monday from The Mansions McKinney Blog! For anyone out there in our McKinney, TX apartment community who has always wanted to start a book club, we’re here this week to bring you a few simple suggestions to help you get one up and running. Of course, there is no single right way to go about creating a book club, but we hope the following tips can get you on the right path. Before including too many other people in your plans, have a clear idea about what kind of tone or theme you’d enjoy for your book club. Are you hoping to make it through another handful of books from the Western canon? Would you rather stick with new-release bestsellers? Or maybe you would like to leave it more open-ended and have the freedom to pick and choose something new that doesn’t follow a pattern every time? Whatever it is, as the instigator of the book club, it’s up to you to set the tone. The next step in starting your own book club is to invite others to join you who will enjoy the tone you have chosen. It might sound fun to have a large book club of 15 people or more, but make sure that you invite people who you know will be serious about committing; consistency is better in the long run. If you have a steady base of a few people who are dedicated to coming every time and to reading the books, there is always room for a few people who come on and off. Before reading your first book together, take a few moments — either in person or online — to set some ground rules for the book club together. Make sure that all of you agree on how often to meet, how long each meeting will be, and what is expected of members at each meeting. On top of that, decide together how new books will be chosen. Will you take turns each picking a book of your liking, within the bounds of the theme? Will you come together at the end of each meeting to vote on a new book? Whatever you choose to do, make sure it’s determined and mutually understood beforehand. Last but not least, remember to enjoy have fun! That’s the reason decided to start a book club in the first place, right? Don’t let expectations turn this club into a bigger source of stress than enjoyment. Instead, use it to join together as a group of people who love to read and benefit from being around people with a shared love. Happy reading this month. Thanks for taking a look at our post today!